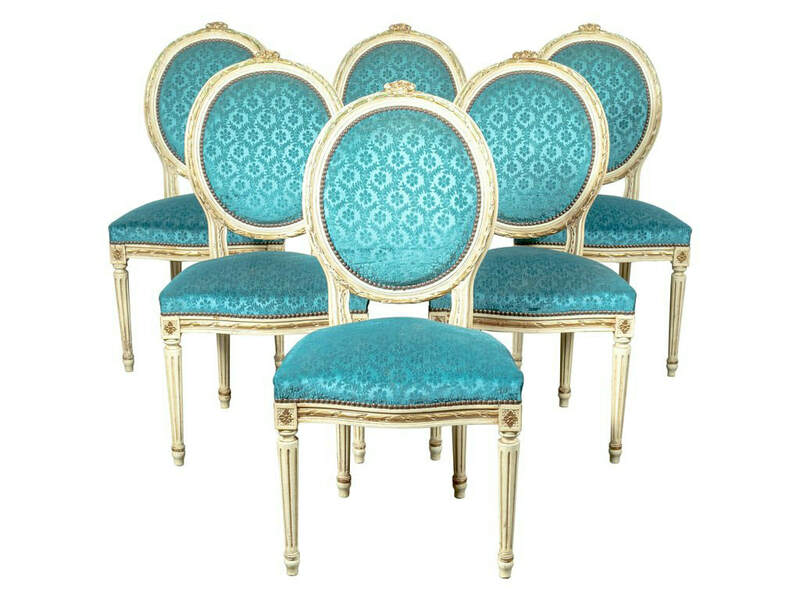 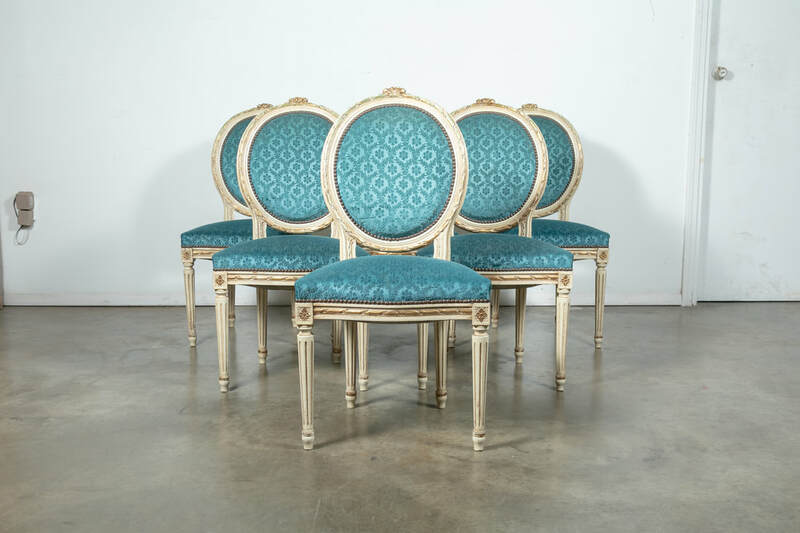 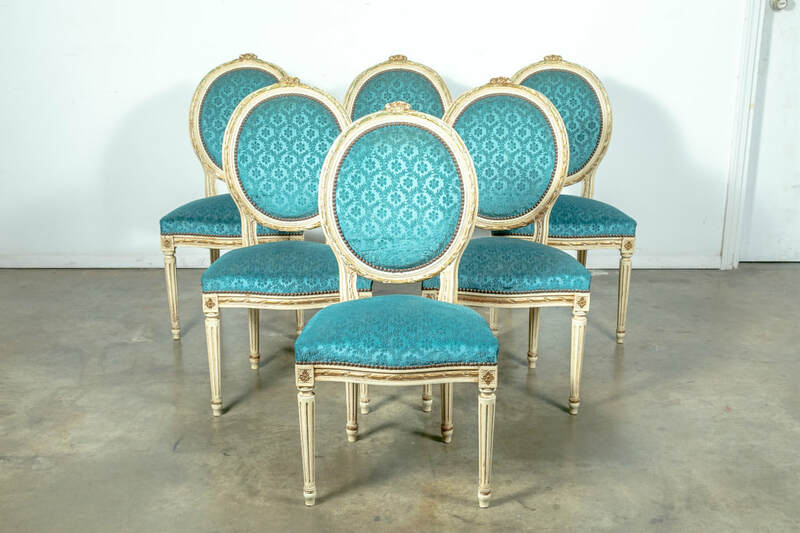 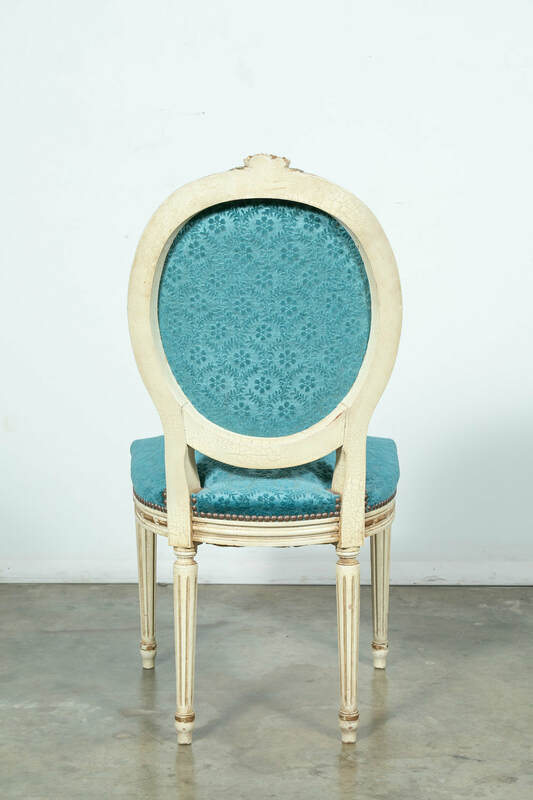 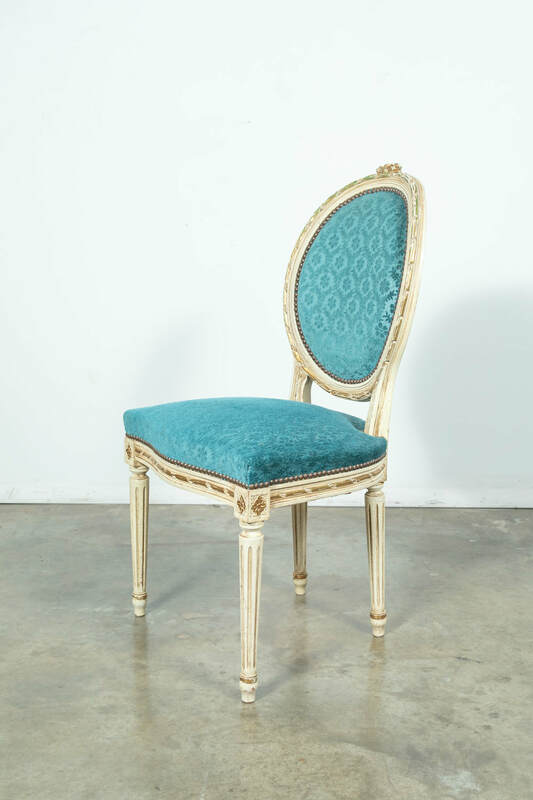 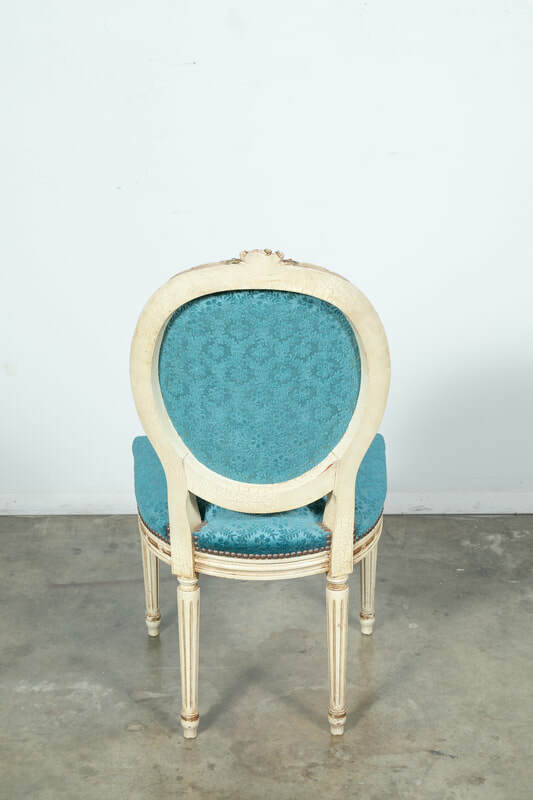 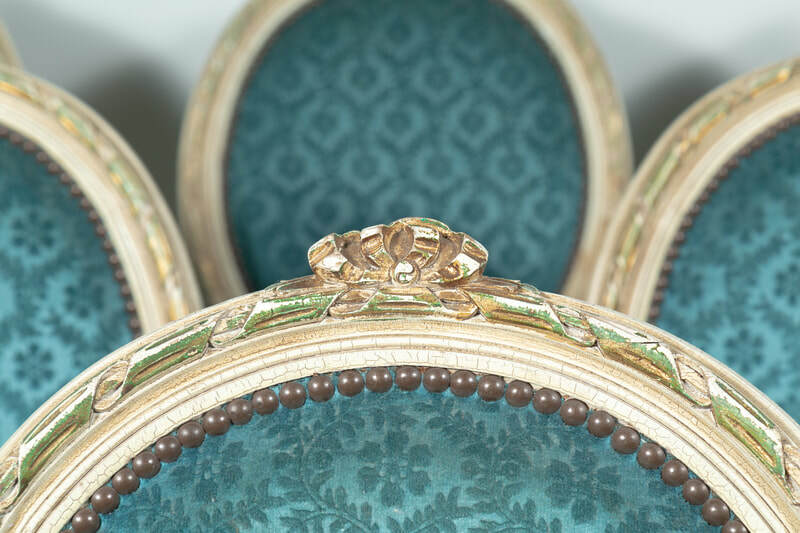 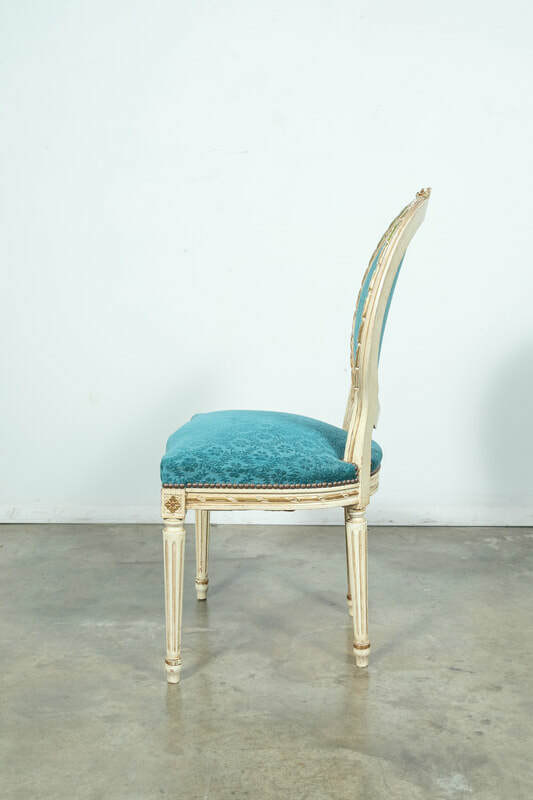 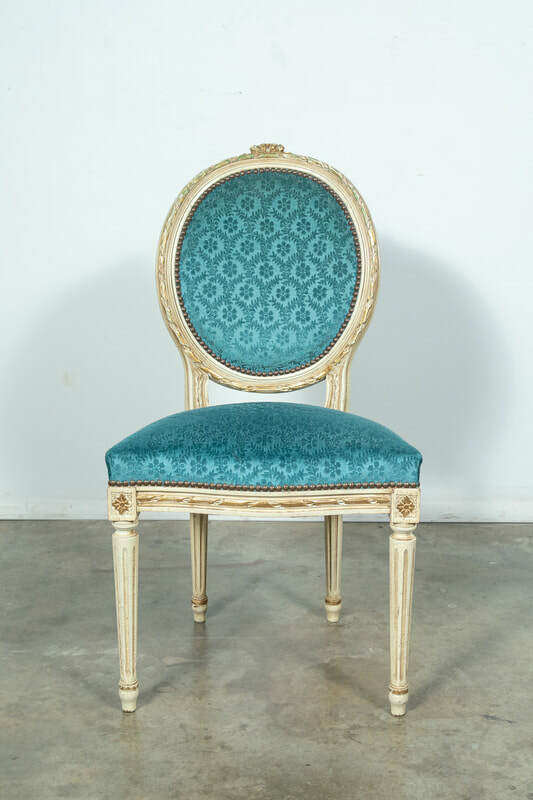 A wonderful set of six French Louis XVI style Maison Jansen attributed dining chairs in a fine parcel-gilt and paint decorated finish with touches of emerald green paint and a crackle finish having medallion shaped backrests with an intricately carved ribbon and reed motif, all upholstered in a beautiful blue velvet with nailhead trim. 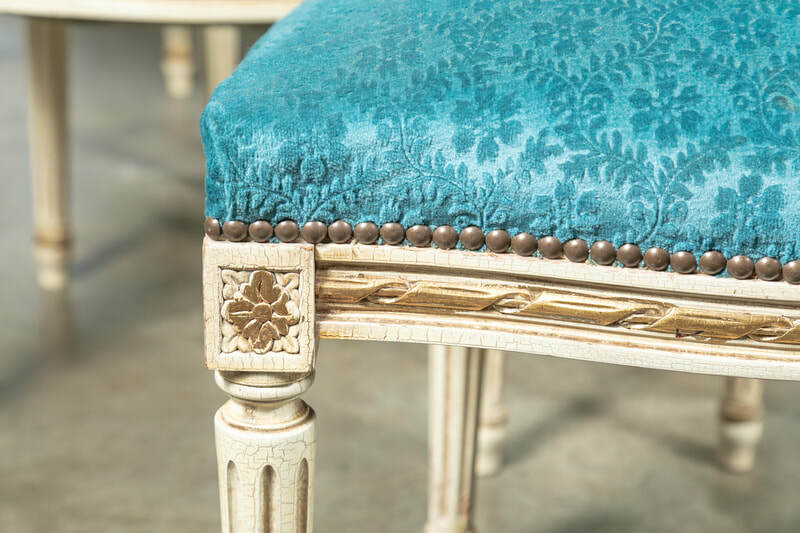 The original gilt finish has beautifully and naturally distressed over the decades to perfection. 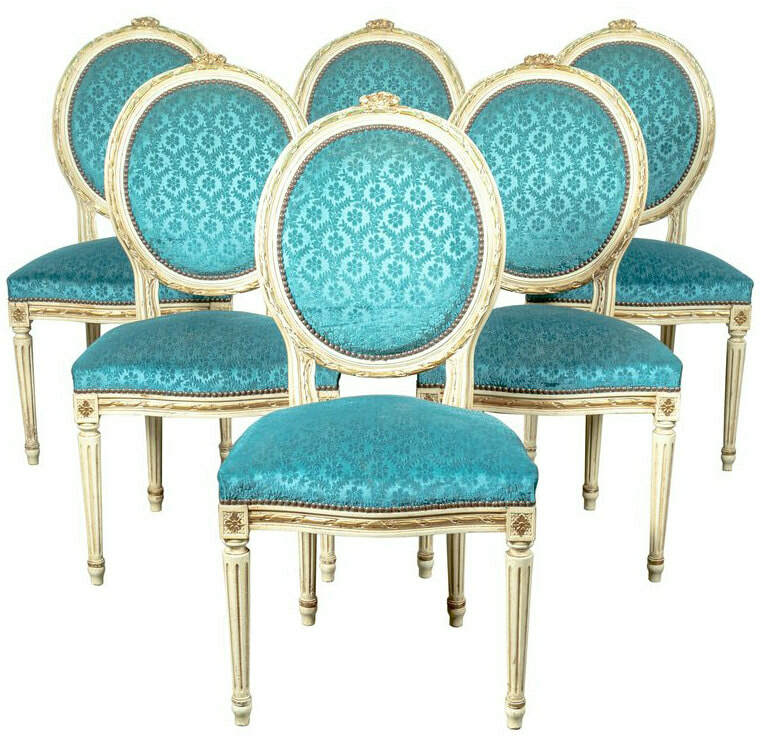 Very sturdy chairs with large comfy seats. 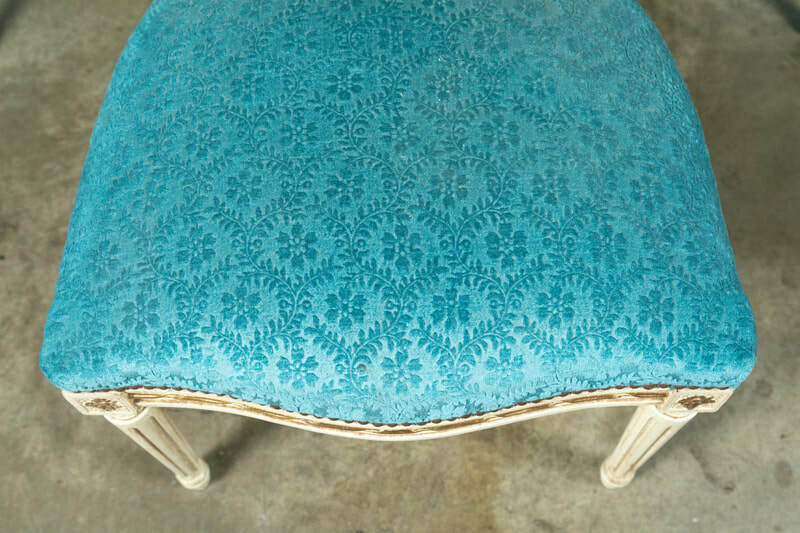 back h - 38.5" seat h - 19.25"
seat d - 16.5" overall d - 19"